Invest in your Brain…and watch your ROI skyrocket! Does this sound like you now? People just stare at you sometimes when you’re speaking. They look totally confused. You still confuse right and left. Your organization isn’t the best. Prioritizing is hard and keeping your life balanced is almost impossible. It takes you longer to do certain tasks because you have to go over things 3-4 times. You ask your spouse or your admin to check your emails…and maybe ask them to read an incoming email because you’re not sure you get the gist of what they really mean or want. You keep part of yourself in the closet, so people don’t get to see all of you?? If you answer yes to any of these questions, run, don’t walk to sign up for your Discovery Session. I started my first business at 8 years old. I’ve been a business consultant, recognized nationally and internationally for my breakthrough work with the brain and learning systems. I am a doctor, neuroscientist, with years of experience under my belt. Mostly I’ve been in the trenches…working with you guys. I know you…how you think, how you feel, what you avoid, your strengths and weaknesses. Why am I focusing on entrepreneurs now? 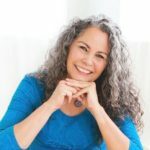 I absolutely I love helping people breakthrough …and discovering just how wonderful they are when they uncover lost parts of themselves….those parts they’ve been hiding from the world and sometimes themselves. My reward is watching you win…big! I’ve worked with people of all ages from all walks of life. I’m choosing to work with you..the game changers…the ones who are going to change the world. The world needs you…your innovations and new solutions. I want to work with you..the top of the chain so the changes ripple through all of society. I can help more people by helping you. Sign up below to explore how to turn on your whole brain with Dr. Phyllis Books. 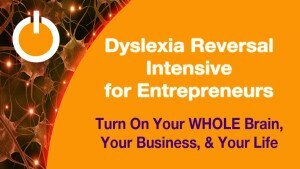 In 30 minutes (valued at $497), discover how your dyslexia is affecting your business and life and how Dr. Books can help.